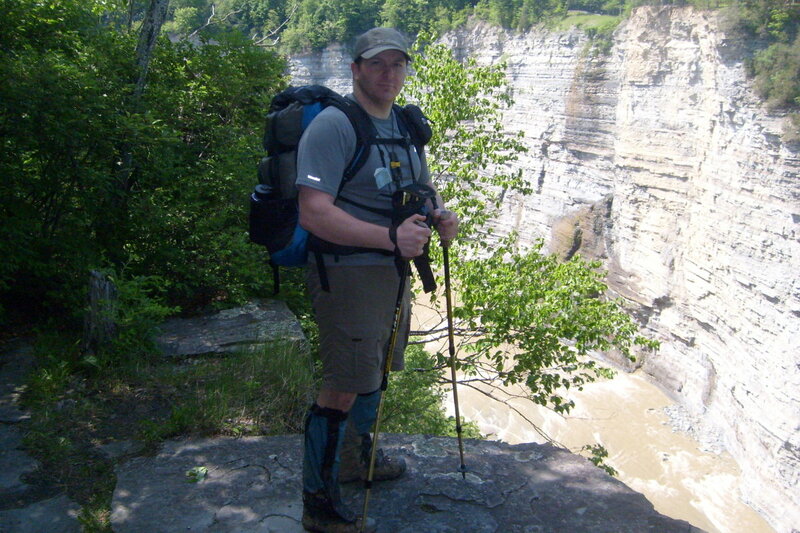 Dan Human shares what he has learned from several thousand miles of backpacking, hiking and paddling. Leaf peepers rejoice, fall is here. The days are cooler, the bugs fewer and the views are spectacularly framed by a multicolored canvas of forests. 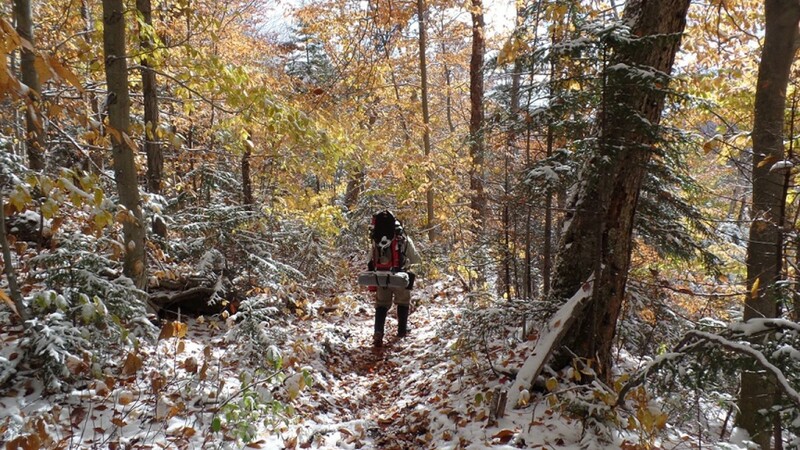 As beautiful as it is though, fall can be a dangerous and challenging season for hiking. From slippery leaves and disease spreading ticks to potentially being mistaken for a deer, one must take care when hitting the trails in autumn. Fall foliage is beautiful but also dangerous. Not that you'll find yourself suffocating under the weight of a half-ton of maple leaves that suddenly dropped on you but there are several new slip, trip and fall hazards. As leaves blanket the forest floor, roots and rocks are hidden; it's kind of like putting sheets onto a bed of nails. Plus conniving groundhogs may have obscured their den's opening with a mat of leaves just so a hiker will twist their ankle (and hopefully leave their trail mix behind). Remember that falls are the most dangerous thing that hikers experience. 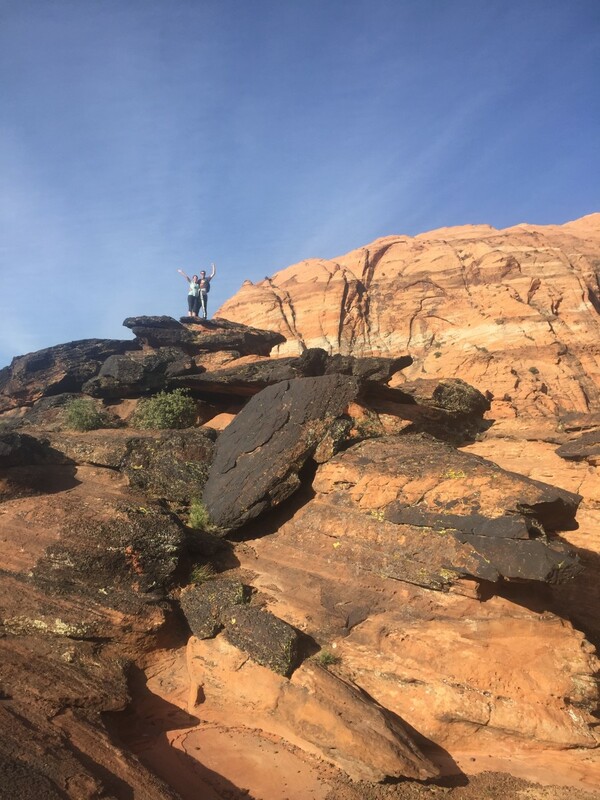 By compiling data on nonfatal outdoor injuries, the article “National Estimates of Outdoor Recreational Injuries Treated in Emergency Departments, United States, 2004–2005” concludes that 48% of injuries were related to falling (Flores, 2008). Looking at similar national park studies, not much has changed in the following years within those frightening statistics. So, without levitating yourself, how do you avoid those falls? 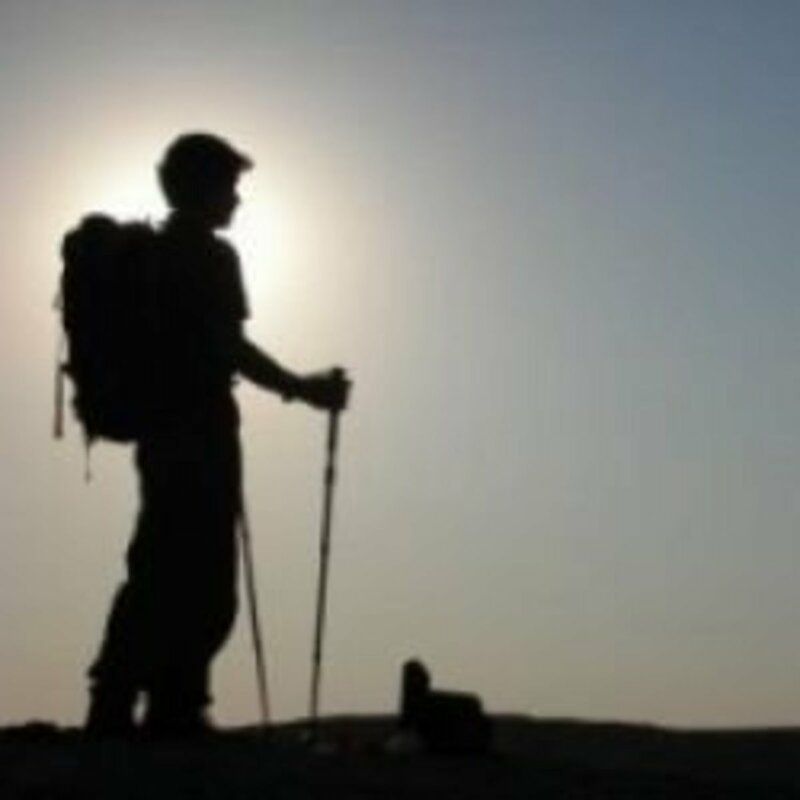 Physical conditioning and trekking poles are the key here. With a balanced strong body core (think about yoga) that slip may not leave you helpless on your back but skipping over that spot instead. Think to yourself, have you ever seen a ninja fall on the leaves? Trekking poles will also help immensely here; as the rest of the animal kingdom knows, four legs are better than two. In fall, I tend to be more mindful of hiking pole placement and probe the area ahead of me, especially on steep slopes where a fall could be catastrophic. Though mosquitoes and black flies have retreated until next spring, ticks are still very active in autumn. Though the nymphs of deer ticks, which spread diseases like Lyme are active in summer, the adults are active in October and November. They are looking for their next blood meal and will be waiting on leaf tips and grasses for the next passerby. Protect yourself from ticks by taking a five step approach. Stay on trails and avoid overgrown areas. 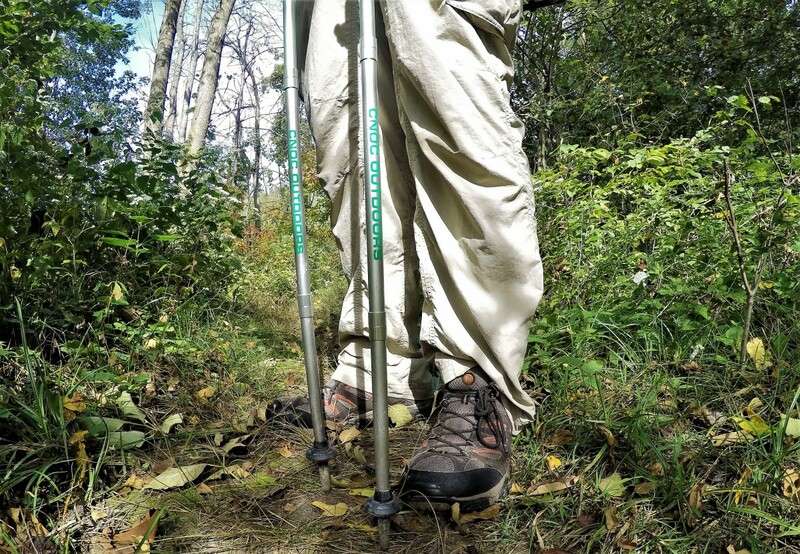 Wear long pants and gaiters to create a mechanical barrier to ticks. 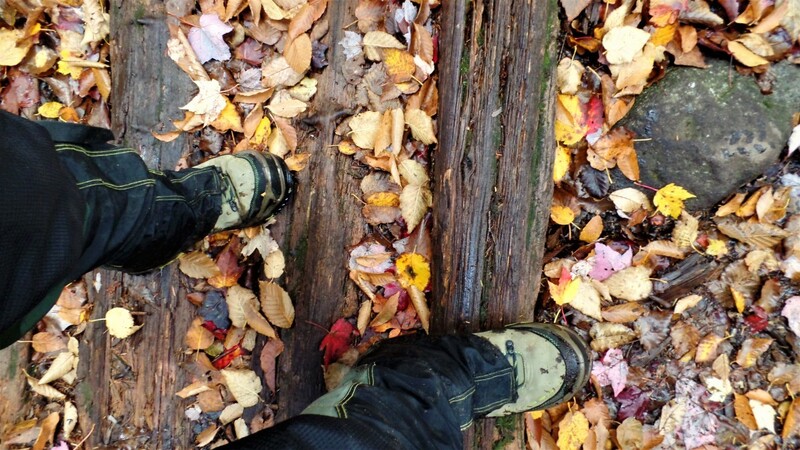 Treat hiking clothing and boots with permethrin. This chemical kills ticks on contact and will last several laundry cycles. Apply insect repellent to your skin. Always do a tick check when you get back inside. 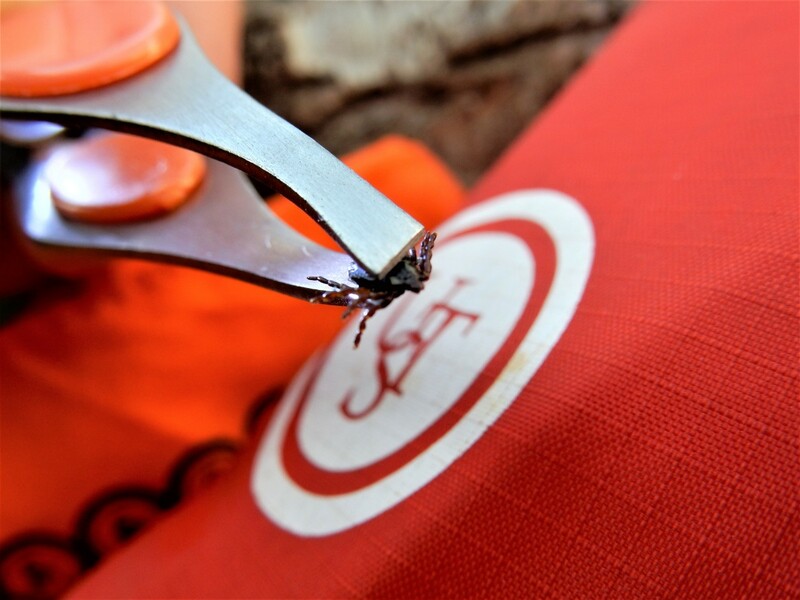 If a hiker finds a tick on their body it is imperative to remove that tick quickly and efficiently. At about an ounce, I carry lighted UST trail tweezers for tick and splinter removal. I also carry small medicine bags to keep the tick in just in case I have to have it examined later. If you don't feel comfortable removing the tick yourself, see a medical professional as soon as you can. This lighted set of tweezers are perfect for picking out ticks and splinters. 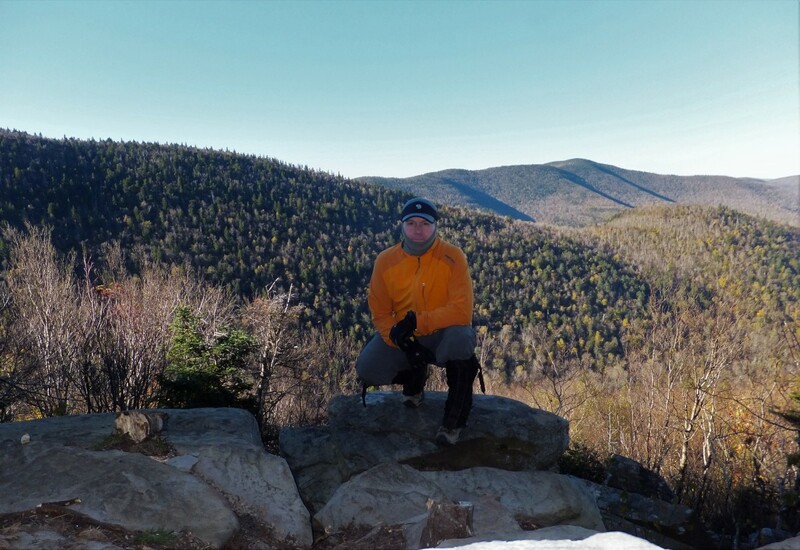 I've hiked into the Adirondack backcountry wearing shorts on a Friday, ended up climbing on icy summits on Saturday and trudged out through snow on Sunday. The weather in Fall can be quite unpredictable and extreme, sometimes seeing all four seasons in a few hours. As the Boy Scouts say, you need to “Be Prepared” to stay the night in the harshest of conditions even when you are only planning on hiking for a few hours. Ensure you are carrying your ten essentials, including extra layers, a shelter and fire making gear. As always, practice building fires and improvising shelters before you need to do so in an emergency. Especially in shoulder season, your clothing needs to be technically adept and work well as a system of layers. You've all heard that cotton kills and that is especially so with extreme temperature drops when hypothermia quickly sets in. Before you head out, be sure you have a good set of waterproof breathable shells and some sort of insulation in your pack. As previously mentioned with the slip hazards from leaves, they can get even slicker with a bit of ice and snow. On autumn adventures in mountainous areas, I carry microspikes that slip over my boots to combat icy trails and keep my balance. 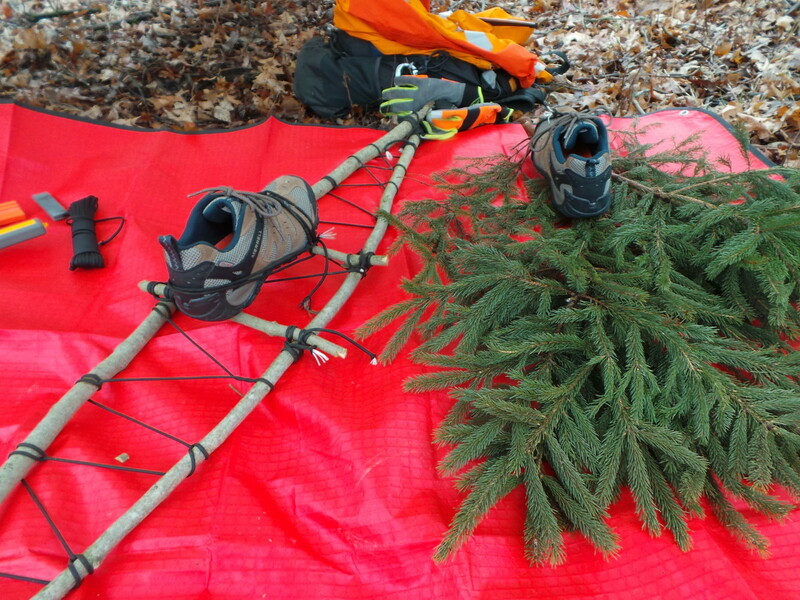 It's also a great idea to learn how to improvise a pair of snowshoes if you get a foot or more of snow. As ruminants like deer and elk enter the rut, hunters too are on the prowl in pursuit of their sport. Hunters and backpackers can easily coexist on the same lands but you have to be mindful of hunting practices. It really isn't the best idea to bushwhack through thick brush while wearing that tan Carhartt jacket with a white bandanna sticking out of your pocket during deer season. Be aware also, that even if the hiker and hunter can't see each other, a .270 rifle bullet can travel more than three miles. 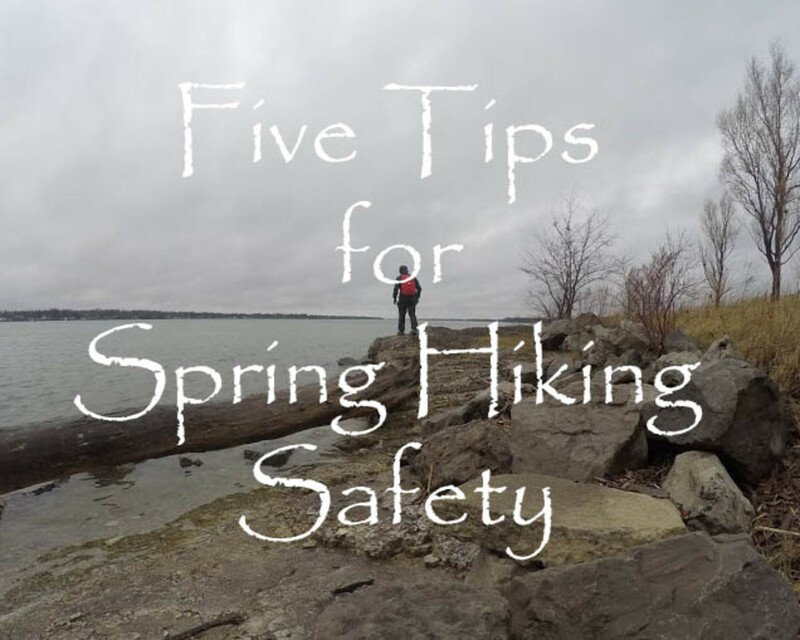 Avoid hiking in popular hunting areas, especially during the first few days of the season. 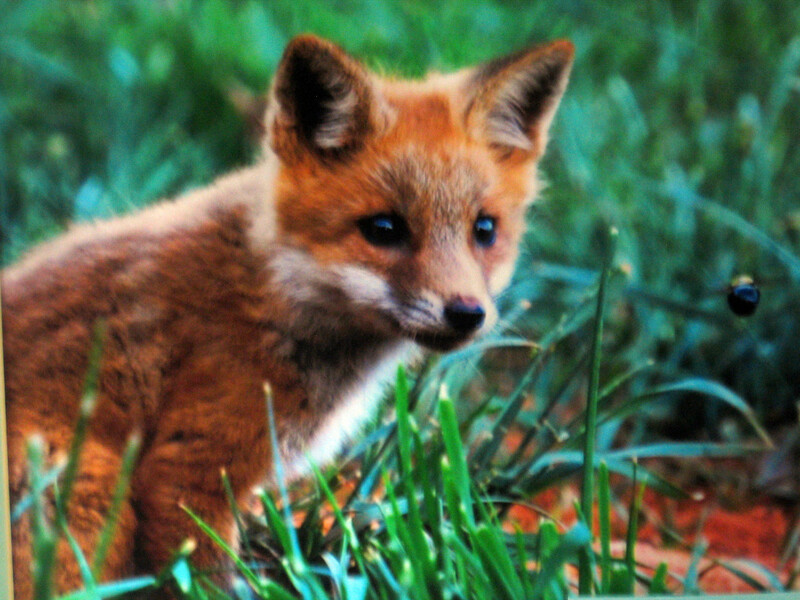 You should obtain a schedule of when seasons begin and end from your state or provincial wildlife management agency. Also, be advised that some trails that cut through private lands actually close during big game hunting season. 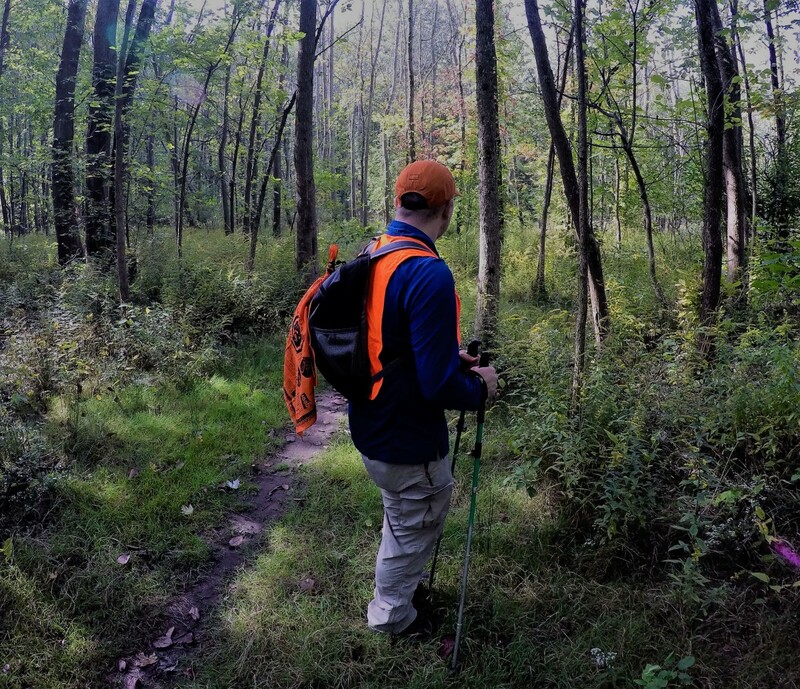 When hiking anywhere in hunting season, even in places where hunting isn't allowed, it is important to wear high visibility blaze orange clothing. Now you don't have to run out to the sporting goods store and buy blaze orange bibs, jacket, overshoes and pack – but you need some. I usually get away by wearing an orange hat and a lightweight packable vest from Frogg Toggs. Keeping visible also means wearing a headlamp in the twilight hours as I haven't seen a turkey or a deer master a flashlight yet. A lightweight vest will keep you visible during hunting season. As the earth moves from the autumnal equinox to the winter solstice, the amount of daylight diminishes. Sure you were able to make it to your favorite waterfall and back after supper during July but you probably won't be able to do it without a headlamp in October. 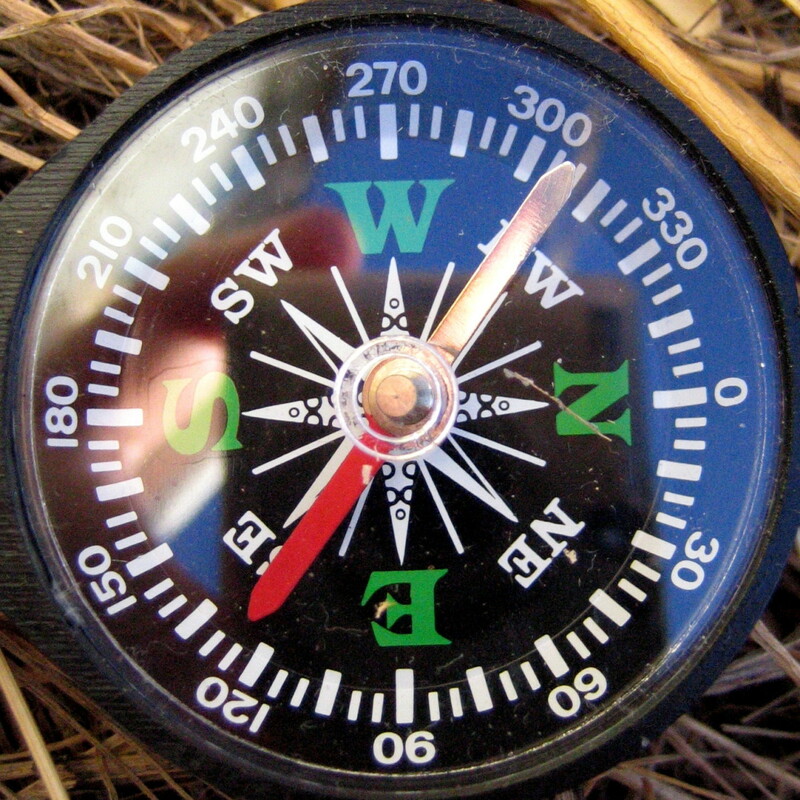 Many hikers get themselves in trouble by not carrying a simple flashlight. No, the flashlight app on your phone won't do. Plan your fall treks accordingly with the amount of daylight and allow for extra time to get back to the trailhead. I set an alarm on my watch that alerts me to my hard turn around time. Sometimes, you'll want to keep pushing toward the mountain but that little annoying beep will snap you out of your summit fever. As you have taken my advice and are using trekking poles to steady yourself on slippery leaves, you'll need your hands free so opt for a headlamp. 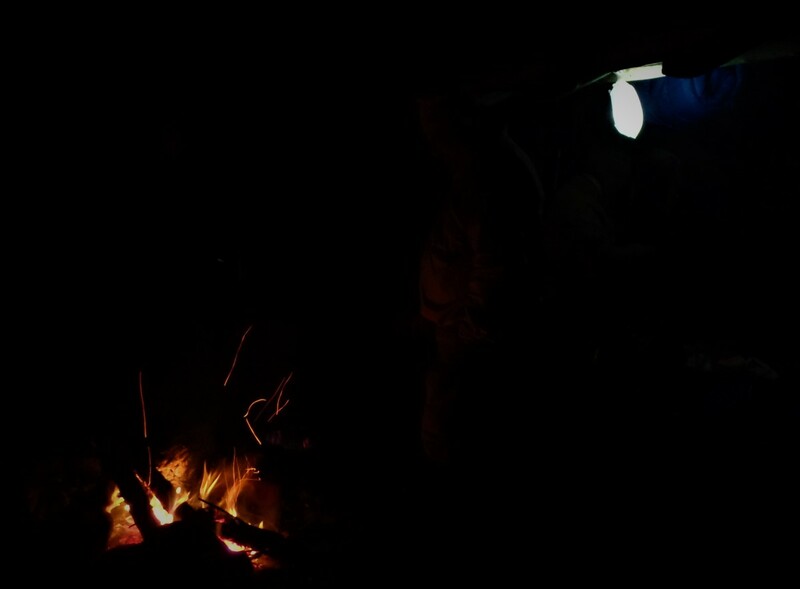 Most headlamps now are LED so you don't need an extra bulb but an extra set of batteries in your pack is a great idea. Most hikers also find it very useful to throw an extra light source into their backpack. A small AAA or coin cell flashlight is really all you need for a backup and you'll be glad you have it if your first one fails. 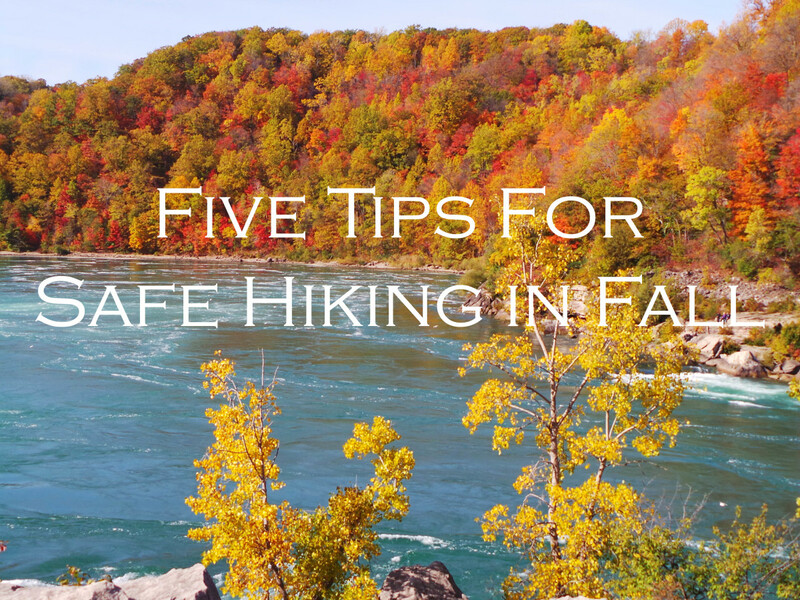 What hazard are you most concerned about with fall hiking?